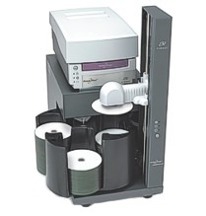 During January we are offering some unbeatable prices on our DVD replication packages of 500 and above units. Our replicated DVD’s are glass mastered, factory pressed with a choice of full colour CMYK offset litho print or spot colour pantone screenprint. When looking for the highest possible quality of disc this manufacturing method is preferable over our short run duplication services. 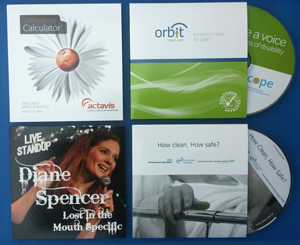 Best price offer for January is on bulk supply discs, 500 at £329+vat and 1000 at just £349+vat. The finished DVD’s are supplied as shrinkwrap spindles ready for your own in-house packaging methods. If you are looking for supply of DVD in basic low cost packaging we have the option of clear plastic wallets or clear clam shells. Both of these options enable the disc print to be visible through the clear packaging and therefore no need for any further printed paper parts. If you prefer an all inclusive packaging and print option then our full colour printed card wallets are ideal. The replicated DVD is packed into a 5″ square cardboard sleeve that is printed CMYK offset litho. There is even an option to then overwrap the wallet, making it suitable for retail or a great corporate promotional DVD. This entry was posted on Sunday, January 19th, 2014 at 8:32 pm	and is filed under DVD Replication Articles.